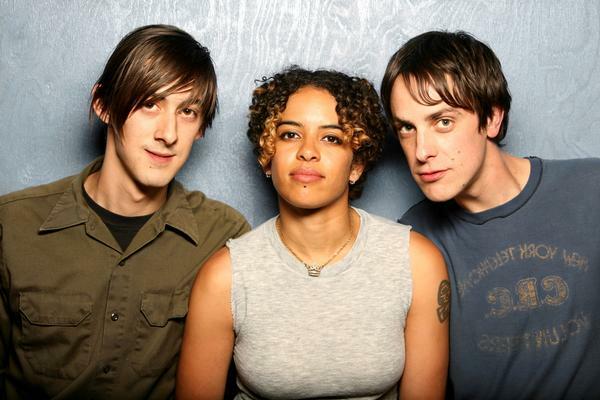 The Thermals – Soda Bar – San Diego – Tonight! GoINDEEpMusic will be out at the Soda Bar in San Diego tonight to check out The Thermals. The Portland-based indie-punk band has been around since 2002 and have released seven studio albums. Their current album We Disappear came out on March 25. The trio consists of Hutch Harris (guitar, vocals), Kathy Foster (bass, vocals), and Westin Glass (drums, vocals). Harris and Foster are founding members, Glass joined the band in 2008. The band is currently touring North America showcasing most of the tracks off of We Disappear, as well as playing their 2006 album The Body, The Blood, The Machine in its entirety, just not in proper order. It appears that sets have been running roughly 23 songs deep, so there’s no need to worry about not getting your 15 bucks worth. Also appearing tonight are Colleen Green and Summer Cannibals. Get your tickets right here, doors fly open 8:30. I’ll update this post if the vids I shoot tonight are decent. Make Music Pasadena Music Festival Today!